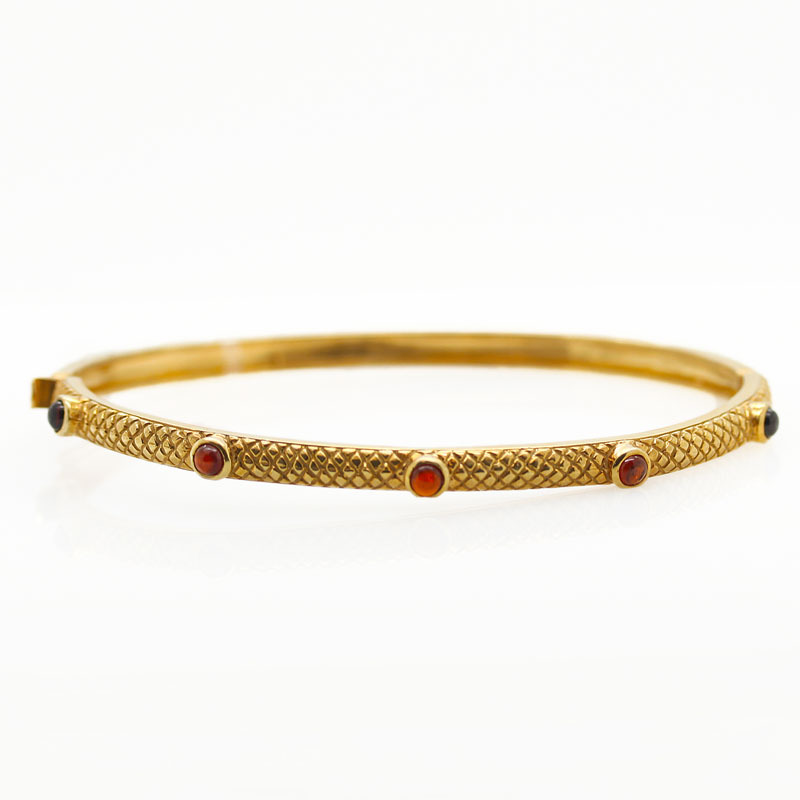 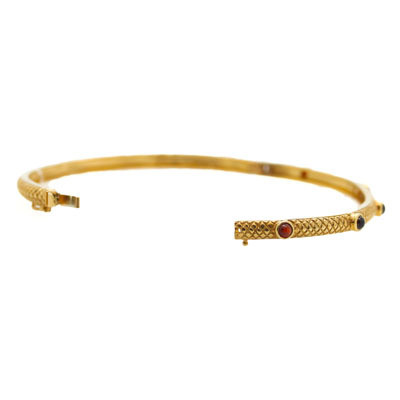 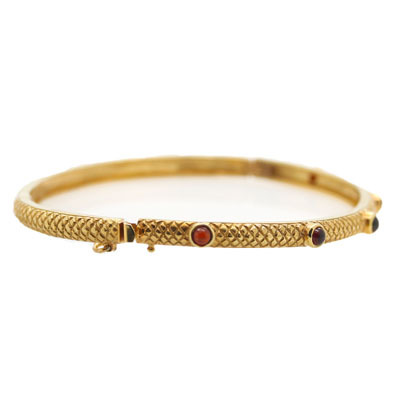 Gold-Plated Hinged Bangle With Garnets Reliable Gold Ltd. 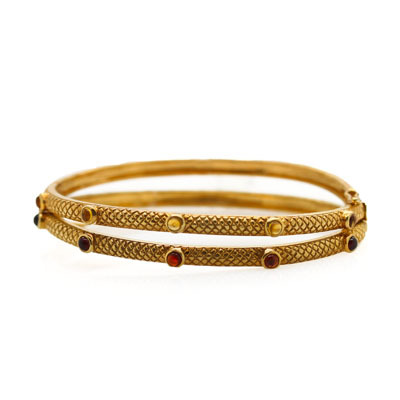 Beautifully textured bangle is gold-plated over sterling silver with 5 cabochon garnets adorning the top with hinged closure for a perfect fit. 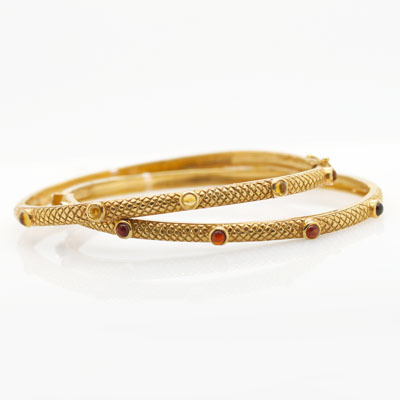 Pairs nicely with its citrine partner in crime, also offered for $185!